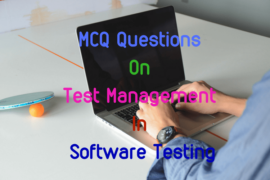 This set of multiple choice questions on principles of object oriented programming in C++ includes MCQ questions on input and output operator, variables, statements, C++ objects, class, inheritance and polymorphism. 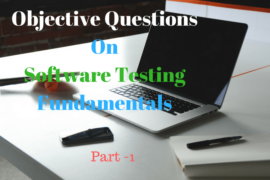 It also includes objective questions about header files listed in C++ standard library and their uses. 1. In C++ ………………… operator is used for Dynamic memory allocation. 2. Operators such as …………………. cannot be overloaded. 3. The …………………. objects have values that can be tested for various error conditions. 4. Which function return the current position of the get or put pointer in bytes. 6. To overload an operator ………………… keyword must be used along with the operator to be overloaded. 9. Because the lifetime of a local variable is limited and determined automatically, these variables are also called ………………………. 10. ……………. allows that a section of a program is compiled only if the defined constant that is specified as the parameter has been defined, independently of its value. 11. Which of the following is/are the header files listed in C++ standard library. 12. The C++ header file …………….. contains macros and information for adding diagnostics that aid program debugging. 13. …………… is the header file that contains functions prototypes and types for manipulating the time and date. 14. The C++ header file ……………….. contains function prototypes for the standard input and standard output functions. 15. ……………. is the header file listed in C++ standard library that contains function prototypes for the stream manipulators that enable formatting of streams of data.